So, after last week’s post you’ve decided it’s time you joined all the other Flat-Clubbers and became a rentrepreneur too. After all, the news might think it’s all doom and gloom, but us rentrepreneurs see the current financial situation as an opportunity to make the most out of what we’ve got. And we’ve got a flat sitting empty when we go on holiday in a few months’ time. 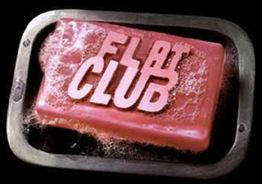 So… how much can you realistically earn renting out your flat or spare room through Flat-Club? Yes, that’s right. Every time you go on holiday and rent out your flat while you’re away, you could potentially earn $1500. But now that we know that, it means that if we don’t post our flat on Flat-Club, we are actually losing $1500 every time we leave our place empty. Now, I don’t know about you, but I can think of a lot of things I could do with that money. So where did we get this sizeable figure of $1500? Well, according to our data that’s how much, on average, you can make each time you rent out your flat whilst you’re away based on the average price paid per night and the average length of booking. So what are you waiting for? Post your flat for Spring Break online now! 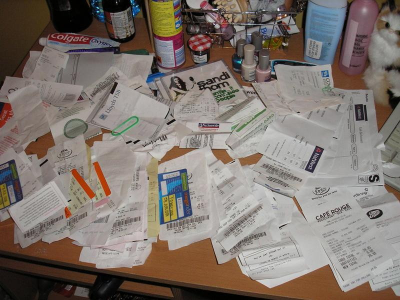 Next week we’ll be looking at some of the more inventive ways hosts have spent their extra income. What would you do with an extra $1500? Share it with us or contact us and you could have your own starring role! A ‘rentrepreneur’ is defined as someone who rents out their extra resources to increase their income. So that means, if you’ve rented out your flat through Flat-Club before then you are a rentrepreneur as well. Congrats! 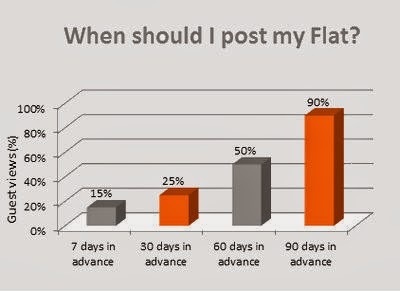 According to our data, posting your flat 90 days in advance ensures that 90% of guests will see your place. This reduces down to just 15% of guests when your flat is only posted a week in advance. So think about bank holidays, peak seasons and term dates which can all increase demand and consider whether you can make your place available during these key dates. Guests tend to search for places to rent at least two months beforehand so once your travel plans are finalised post your flat online as soon as possible. Or you could follow in the savvy steps of 27% of our hosts by posting your flat before you book your holiday. Once you know what dates your flat has been booked, you’ll know exactly when to travel yourself. Genius. Making it obvious when your flat is and isn’t available saves a lot of time for you and your guests. You won’t receive booking requests for dates that your flat isn’t available and guests won’t feel frustrated after failing to book. A well - organised calendar makes your listing look more professional and guarantees more interest for when it actually is available. And regularly updating your calendar also ranks your flat higher in the search results – just a little insider tip from us! Tidy up, open the curtains and snap away during the day to ensure the best possible photos. And use a photo of the living space as the main flat photo; it’s more inviting than an exterior shot. We’ve found that listings with photos get so much more interest than listings without. But if the photos of your flat aren’t doing it justice, never fear! We have several professional photographers working for us across the globe that guarantee to make your flat look its best. And best of all, this photography service is completely 100% free for you to use. Just contact us to arrange it! Use the Flat-Club messaging system to respond to guest queries and booking requests as quickly as you can. Guests tend to make multiple enquiries, so being efficient and helpful will immediately make your flat their number one choice. So if you’re feeling particularly rentrepreneurial today, join all the other Flat-Clubbers and post your flat online now. 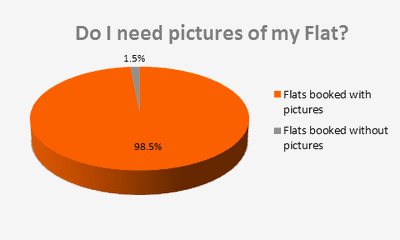 If you need more information on posting your flat, visit flat-club.com/hosts. So… Just how did FlatClub win the TechCrunch One-Sentence-Pitch Challenge? Meet Nitzan Yudan. He’s our CEO & the Co-Founder of FlatClub. "While the rest of us were sleeping, he worked… With insomnia, nothing is real. Everything is far away. Everything is a copy of a copy of a copy.” I know that they say sleep is good for your health and it makes you think clearer but I prefer the insomnia approach. When you don’t sleep you have more time to do. When nothing is real, then everything is possible. You can dream. You can achieve. In this case, I saw the post about the competition when it was launched - UK night-time. It gave me enough time to think, write, and post - and still be one of the first to join. Always be the first. “Without pain, without sacrifice, we would have nothing.” (Tyler Durden). The only way to learn is to try and fail. Then try again, and fail again, and keep improving by making small mistakes. Only because I had pitched FlatClub badly so many times in the last year, was I able to improve and sharpen it to one good sentence. If you don’t make mistakes, it means that you’re not really trying and you’ll never be able to change the rules of the game. “You have to know the answer to this question! If you died right now, how would you feel about your life?” As entrepreneurs, we always have more good ideas than resources. The challenge is to find the best ideas, prioritize, and stay focused. I prioritize my to-do list every week and every day. If TechCrunch wasn’t high on the to-do list, I would have never made it to the competition in the first place. “I look around, I look around, I see a lot of new faces. (Crowd laughing) Shut up. Which means a lot of you have been breaking the first two rules of Fight Club.” (Tyler Durden) Life is not 'The Social Network'. No one will steal your idea. Even if they copy it, there is a huge gap between a great idea and a successful company - this gap is execution. Competitors will come and you must create a good enough value proposition to ensure you can win against the competitors. It can be IP, business processes, team, or know-how. Ideally - all of them. While developing the idea for FlatClub, I shared the “secret” with as many people as I could. I got extremely valuable feedback which helped me better understand the customers “pain”, develop the better solution, and most importantly – learn who my target market is and how to talk to them. These were also the steps I followed in the One-Sentence-Pitch. If it works for Fight Club, it can work for you as well. And always remember “This is your life and it’s ending one minute at a time”.